Ahh...the City by the Bay. Have you left your heart in San Francisco? We certainly have, and so have tons of other yoga lovers! 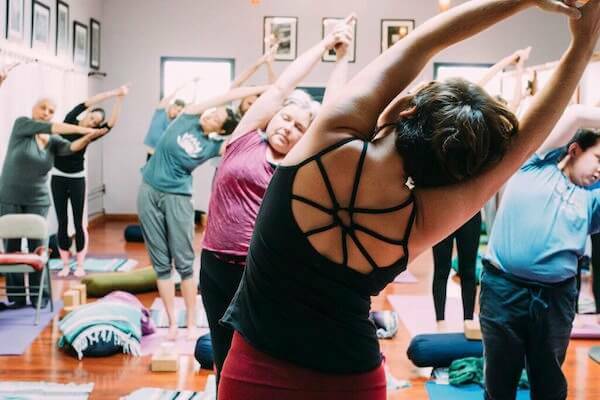 San Francisco is one of the top yoga cities in the United States, and to find out what makes it so special, we reached out to different yoga studios in San Francisco to hear their own opinions on the yoga community. The next time you happen to be in San Francisco, check out some of these must-visit studios before heading down to Fisherman's Wharf or over to Ghirardelli Square. What kind of yoga do you teach at The Dailey Method? We offer individualized attention in a group setting to give you the strength, discipline, and joy to find ultimate alignment -- in body, mind, and spirit. From pilates and yoga, to ballet barre, our classes are an ever-evolving mix of movement that offers the extreme benefits from many different disciplines. The moment you walk through the Dailey Method Mission-Castro studio, you feel a sense of warmth and belonging. Everybody is invited, embraced, and encouraged at our studio. Our studio is a microcosm of the diversity in the entire Bay Area, we have every size, fitness level, ethnicity and religion. San Francisco was one of the first American cities where yoga really became popular. How do you feel that impacts the yoga community there? San Francisco is to yoga as NYC is to music and art. You have every type of yoga and everything in-between. If you want to try every style and every form out there, SF is the place. The community is huge and vast, and it seems like everyone in SF has some form of yoga practice. I would even say it is part of the SF experience and a way of life here. Can you tell us a little about Mysore yoga? Mysore Ashtanga yoga is a system of yoga that was taught by Vamana Rishi in the Yoga Korunta. This text was imparted to Sri T. Krishnamacharya in the early 1900s by his guru, Rama Mohan Brahmachari, and was later passed down to Pattabhi Jois during his studies with Krishnamacharya, beginning in 1927. 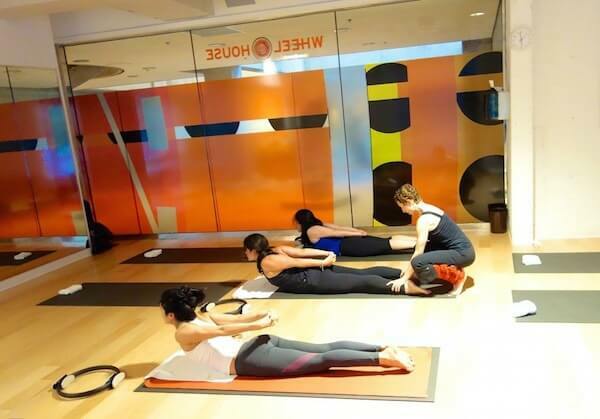 The first thing you’ll notice when you enter a Mysore room is that everyone is working differently within the series. Beginners and advanced students practice side by side. Some practitioners have a 20 minute long practice; others practice for 2 hours. This is because the practice is introduced as a prescription, systematically and individually, based on the student's physical, mental, and energetic appetite and aptitude. I teach how my teachers in Mysore, India (the late Sri K Pattabhi Jois and his grandson Sharath Jois) have taught me over the years. This direct relationship and line of transmission ensures that students receive the teachings through this classical, time-honored approach. When I first came to San Francisco, there was only one Mysore program in the city. Now there are at least five, perhaps more. It's definitely a great sign when a city as progressive and creative as San Francisco can embrace all methods and styles of yoga. What kind of yoga do you teach at CorePower Yoga? CorePower Yoga is an intensely physical workout rooted in the mindfulness of yoga. We specialize in heated Power Vinyasa yoga classes, and have classes for all levels. Our studio is special in large part because of the wonderful teachers and students that make up the CorePower community here. We really focus on the student experience and our instructors are excited to come to work every day and teach fun, consistent, inspirational yoga classes. San Francisco has one of the greatest yoga communities in the US! There is yoga for everyone here, and no matter what kind of yoga you practice, there is an energetic bond that is forged between all different practitioners and studios that raises the vibrational consciousness of our beautiful city. What kind of yoga do you teach at It’s Yoga, Kids? It’s Yoga, Kids® classes are specifically designed and modified appropriately by developmental levels, for infants to teenagers, and their families. They are taught using a fun and dynamic system of practicing poses joined together by breath and flowing movement. As the only yoga studio in San Francisco created to serve the needs of children and families, It’s Yoga, Kids® is healthy fun! Our programs support mind and body development for all ages and abilities. What kind of yoga do you teach at The Mindful Body? We offer a variety of styles and lineages, and all of our teachers teach alignment in poses, as well as internal, meditative aspects of the practice, and yoga philosophy. This really allows yoga to be a 24 hour a day practice to center and ground us in our busy lives. We are proud to be an independent, woman-owned studio. This really creates a strong sense of community and place where you can truly be yourself. We also offer small class sizes, so there is lots of one-on-one attention. San Francisco has a really strong yoga community. It really feels like part of the city's culture. You can wear yoga pants out to a nice dinner after practice and no one will think twice about it. What kind of yoga do you teach at Laughing Lotus? At Laughing Lotus we teach Lotus Flow, our signature style of Vinyasa Flow, along with meditation, Restorative, Yin, and Mantra. Laughing Lotus Yoga center is a community of diverse yogis committed to offering a sacred space that welcomes you home. Our physical and spiritual practice encourages all of us to face our challenges, sweat out the toxicity we gather from our environments, to start anew over and over again, so we can be of benefit to the world and others. We're all so grateful to be a part of the yoga community here in this incredible city full of history, wisdom, and love for this gift of yoga that has been handed down generation after generation. There is a colorful vibrancy that exists in San Francisco for the act of self-expression through movement, art, and music. 7. Hot Yoga Ocean Ave.
What kind of yoga do you teach at Hot Yoga Ocean Ave.? Hot Yoga Ocean Ave. is a yoga center. We offer different styles of Hatha yoga in a heated room. I would rather not reference the studio as special. We are a steady group of yogis that invite the public to practice with us. We have a lot of resources and relationships to draw from as yogis in California. We are fortunate to have this history and we use it well. What kind of yoga do you teach at Excelsior Yoga? We teach old school, traditional Hatha. Our classes focus on the asana, and includes pranayama, mantra, meditation, and deep guided relaxation. Emphasis is put on holding the posture with breath awareness and control. Each class is challenging and unique. No music, flow, or heat. We are a small private studio. Our maximum class capacity is 18 people. While we do accept “drop-ins,” the focus is to help our members develop, reach and achieve their true potential, while fostering a sustainable lifelong practice. Although SF was one of the first US cities for yoga to catch on, in 2012 we were the first studio to open in the Excelsior neighborhood/district. For many clients, this was their first time trying yoga. We like that! We are excited to see yoga take off and become more accessible to people of varying backgrounds and abilities. What kind of yoga do you teach at the Wheel House? The core of our classes focus on either an athletic or Restorative Flow. We also offer themed yoga. Our instructors! Each teacher's approach is slightly different and offers a unique touch, but all are passionate about their practice and attentive to their students. California, particularly San Francisco, seems to be an American hub for those who embrace the practice of yoga and its benefits. This city has so many studios and yogis to offer, that a student is sure to find one which fits their lifestyle and needs. What kind of yoga do you teach at Glow Yoga? 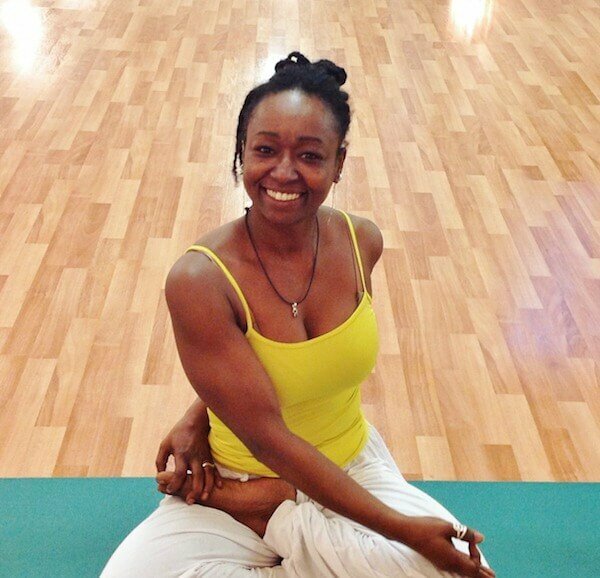 We teach mostly Heated Vinyasa Yoga with some spirituality, chanting, and yoga philosophy. We try to focus on deeper understanding of yoga beyond the physical. 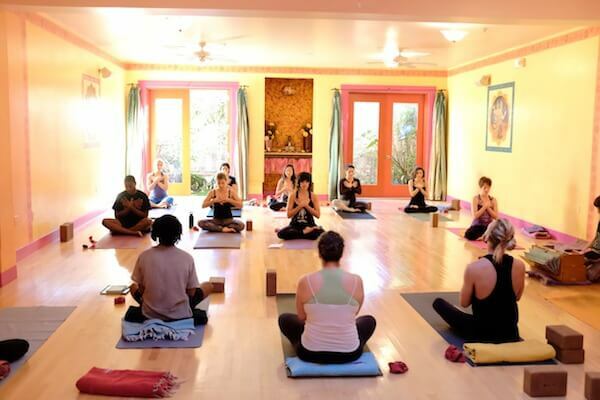 Many of our teachers teach Bhakti-inspired yoga where you can experience chanting and beautiful dharma talks. What makes Glow extra special is the variety of health services we offer. San Francisco is so wonderful yoga-wise! Our yoga community is strong and has such a great variety of wonderful teachers. You can literally take a class every day with a different teacher who is going to offer you a special piece of their heart and inspire you in all new ways. What kind of yoga do you teach at MOXIE? 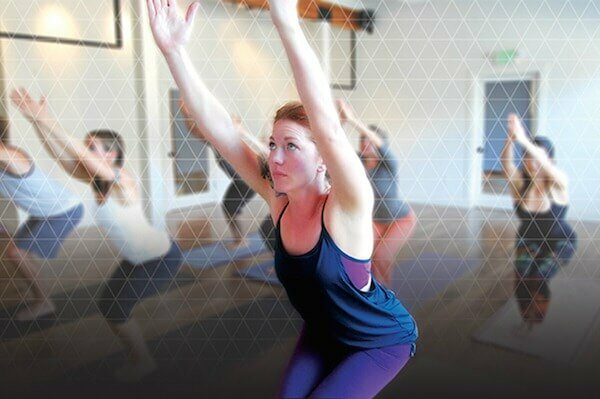 Athletic, fitness inspired Power yoga, including MOXIE Method signature classes and all-levels Power yoga. Our classes are built for accessibility. MOXIE's classes are intentionally free from emotional, spiritual, and philosophical instruction. We simply want to open the door for everyone to reap the benefits of a physical yoga practice. Because yoga is so popular in San Francisco, the yoga community has become extremely specialized. Each studio is different and you can find whatever you are looking for in San Francisco. What kind of yoga do you teach at California Yoga Company? We offer a unique style of Hot yoga in which all our instructors specialize in helping those who are new to yoga or fitness or have chronic injuries. Our studio is set apart from others with our focus on giving our clients the results they are seeking in a short amount of time. In addition to providing a unique, results-driven yoga style, we often have transformation programs for our members so that they learn how to change their eating and lifestyle habits. For the practitioner, it allows nearly unlimited availability to attend classes. For teachers, if you are willing to work hard, it has allowed yoga teachers to become full time teachers who are able to live in the most expensive city in the US. For studios, it has created intense competition which requires the studio to maintain high level of quality and to specialize so that you stand out in the crowd. What kind of yoga do you teach at Purusha? Purusha Yoga weaves together the ancient, sacred teachings of Hatha yoga, classical Raja yoga, and the eight-limb holistic wellness approach as presented by Patanjali's Yoga Sutras. It is our goal to create a safe space where students can show up as themselves, no matter what's going on in their lives, and land in the contentment and joy that are always available right here in the now, within each of our hearts. Our studio is an incredibly special place because of the strong community energy. Purusha attracts people of all ages, all body shapes, sizes, and colors, and all levels of experience. We are unique in that we truly meet people where they are. We inspire people to celebrate their bodies and challenge them to find their edges in their practice, all in a very safe and playful space. San Francisco was one of the first American cities where yoga became really became popular. How do you feel that impacts the yoga community there? San Francisco is truly a vibrant yoga hub. There are always so many interesting yoga events, workshops, gatherings, classes, and retreats happening on any given day. Yoga in corporate businesses, yoga in the parks, yoga and mindfulness in schools...it's truly amazing. What kind of yoga do you teach at Ocean Beach Yoga? We offer a variety of yoga; a little something for everyone. We offer Mindful Vinyasa and Hatha classes to energize and strengthen, and to balance the more rigorous classes, we offer Candlelit Restorative classes. 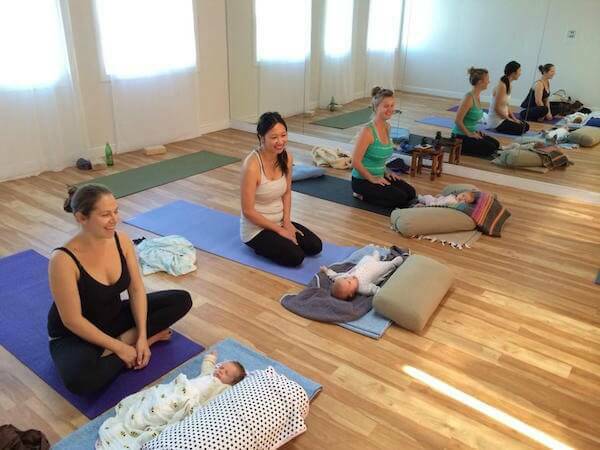 We also love seeing moms-to-be in our Prenatal Yoga, and new babies in Mom & Baby Yoga. We were the first yoga studio to open in the Outer Sunset Neighborhood, and so we felt the excitement from our students from the very first day. Our beachside neighborhood feels like a close-knit community within San Francisco, and it's reflected in the relationships and support felt within Ocean Beach Yoga. San Franciscans are passionate about their yoga, for so many reasons. It's such a positive aspect of living in a city where life can seem hectic and sometimes stressful. What are your favorite yoga studios in San Francisco? Share what makes them awesome in the comments below!